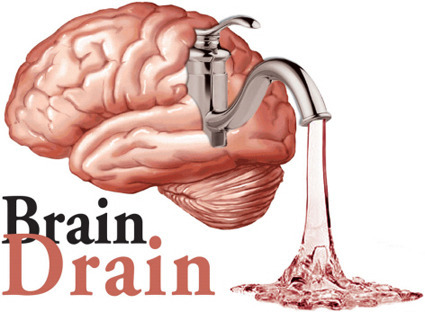 I stumbled into the brain drain debate through research claiming to debunk all the concerns. I held it as fact that talented people leaving their home countries caused severe harm. The argument made a lot of sense. Doctors from Malawi who chose to leave for work in the UK deprived the southern African nation of a vital medical professional. The same goes for the urban American who grew up in poverty, managed to climb out of the trap and now lives with her family in the suburbs working as a lawyer at a big name firm. The systemic problem of poverty appears harder to unseat when the few people that do succeed leave. An economist and his friend are walking down the street when the friend sees a ten dollar bill on the sidewalk. “Look,” he says, “it’s a ten dollar bill”. The joke pokes fun at some of the assumptions economists hold regarding the efficiency of markets. In the case of Clemens, he said that opening up migration can make a lot of money for the migrants, the destination countries and the country of origin. “For skilled workers, there is some evidence that wages of the remaining workers goes down, but the effects are too small to justify the hype about the brain drain,” blogged Shantayanan Devarajan, Chief Economist of the World Bank’s Middle East and North Africa Region. I learned that not everyone agreed that brain drain was even a thing. Since then I have watched as fears about brain drain persist and other experts claim that such concerns are misplaced. The issue of brain drain is really only one part of a larger debate over immigration. The academic disagreement cannot be considered without looking at public attitudes about immigration. Here in the United States immigration reform flounders in Washington DC. Senator John McCain made a nationalistic advertisement in the 2008 presidential elections where he assured America he would build the wall between Mexico. Concerns about immigration also exist on the left. Activist Ralph Nader recently argued in Al Jazeera along the lines that immigration hurts American jobs and developing countries. “Sure, nobody is forcing skilled workers from less developed countries to come to the US other than dictators, but if the US wants peace, stability and better livelihoods to have a chance, it has to tell its giant corporations to pull back on their gluttonous appetite to recruit the “cream of the crop” from these countries and invest in American skills,” wrote Nader. Elsewhere, immigration is a debated topic. Australia’s government is making a new press to keep illegal immigrants out. 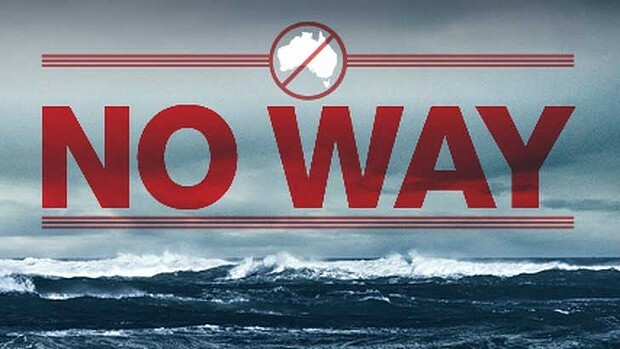 Ports of entry have giant signs declaring ‘No Way’ to would-be asylum seekers. There is even a cartoon strip that tells potential asylum seekers of the dangers of traveling overseas. A highly debated topic, immigration in Australia has brought up serious human rights concerns for the treatment of the people who are caught trying to get in. Eminent economist Paul Collier published a book last year on migration. He takes a moderately centrist position in Exodus: How Migration Is Changing Our World, but concludes that migration is damaging at a certain point. The question about whether migration is good or bad is wrong, says Collier. He frames his book around how much migration should take place going forward. He fears the acceleration of migration will increase cultural diversity and that can lead to problems. At a certain point diversity is good, when it goes too far diversity can lead to lower levels of trust, poor cooperation and less generosity. The argument garnered strong support and criticism. “Far from advancing a convincing case for a moderate middle path, the book offers an egregious collection of empirical and logical errors about the sociological and economic consequences of immigration. And they lead Collier to propose policies that would greatly harm, not help, the millions of people seeking to escape their homelands in search of a better life,” wrote Clemens and his colleague Justin Sandefur in a Foreign Affairs review of the book. So what is it? Is immigration an untapped resource that can lead to global gains? Is migration harmful host countries, developing countries or even both? Is limiting movement of workers a violation of their rights? How strong is the evidence on any side of the debate? These are only some of the important questions that need to be answered. Originally I set out to write a single article on this issue, but I learned that it is too big to limit to a one-off piece. Stealing a bit from Nathanael Johnson and his research into GMOs for Grist, I am going to dive into the immigration trench and keep going until I hit the bottom. In Migration Matters (working series title), I will do my best to report on, analyze and discuss the issue of immigration. I have amassed a fair amount of research on the subject. By going through it all publicly, I hope to spark conversations about the topic of immigration and arrive at some answers about what countries should do in regards to immigration policy. Please offer suggestions for resources and people to speak with as I tackle the issue of immigration. First up will be the research on brain drain.